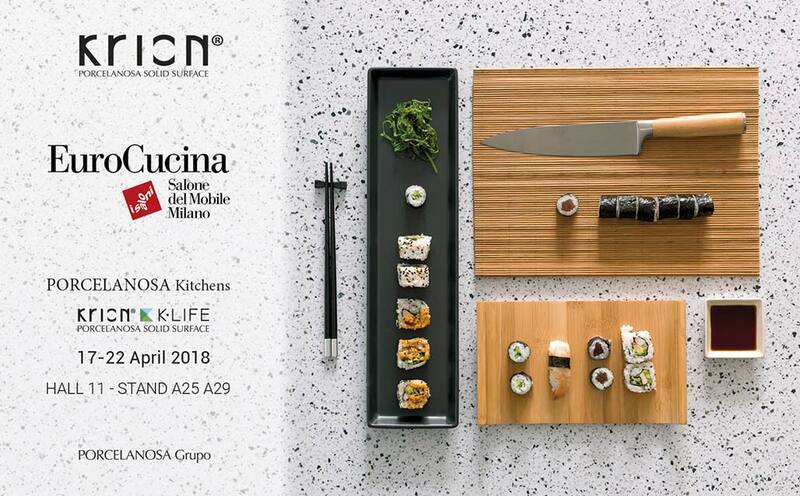 From the 17th to the 22nd of April, PORCELANOSA Group will be present at EuroCucina, in the “Salone del Mobile Milano“ Hall 11, Stand A25 A29. Grouped under PORCELANOSA Kitchens, the eight firms of the group will present the latest advances in the kitchen sector. K-LIFE, the material which purifies the air, an ideal product for the home, will be presented by KRION at this important event. WE’LL BE WAITING FOR YOU!! !